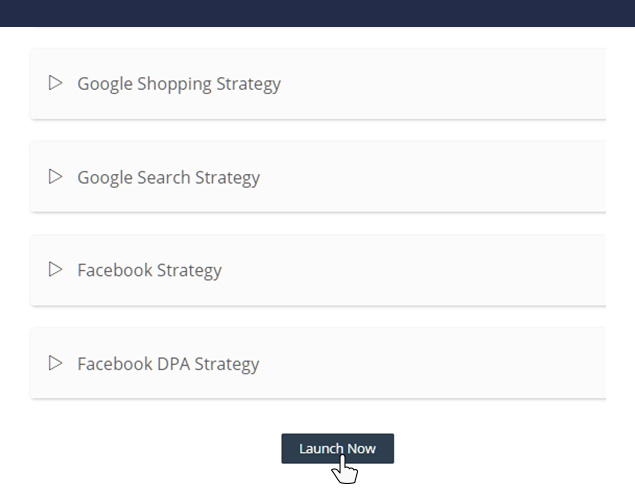 Launch, optimize and monitor your ad campaigns on Google, Facebook, Bing and Amazon from a single interface. Still using different interfaces to manage your ads across channels? All that changes with OnlineSales.ai! 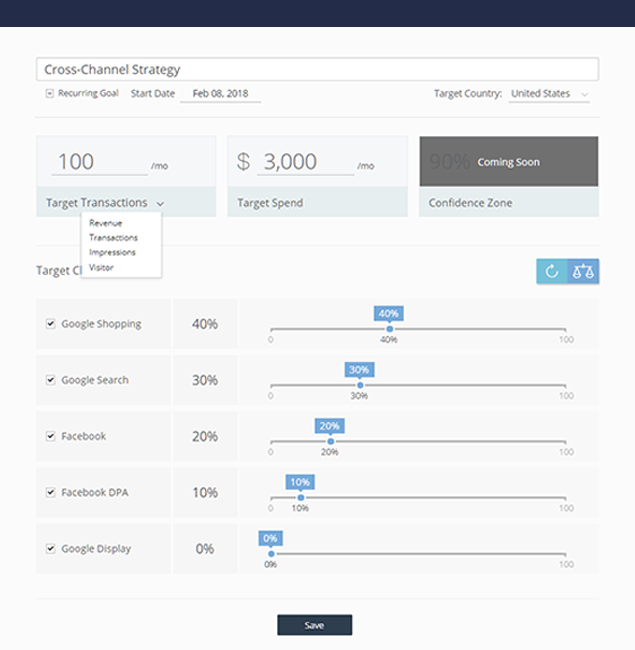 Our robust interface provides you with all the necessary options to craft your own cross-channel marketing strategy with ease and speed. 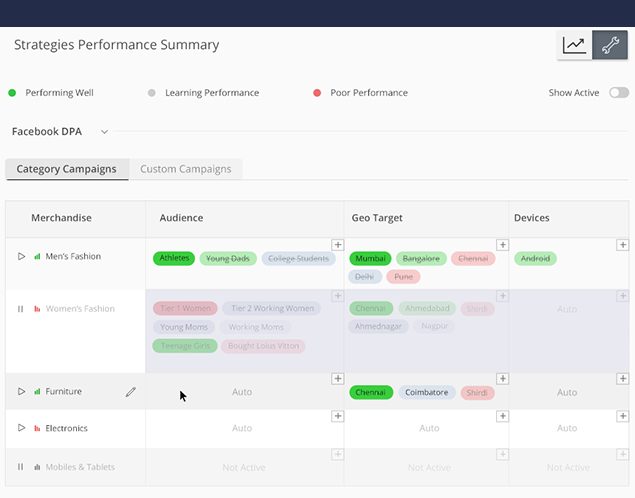 Define your goals, split budgets across channels, targeting, device preferences and more from our campaign launcher. 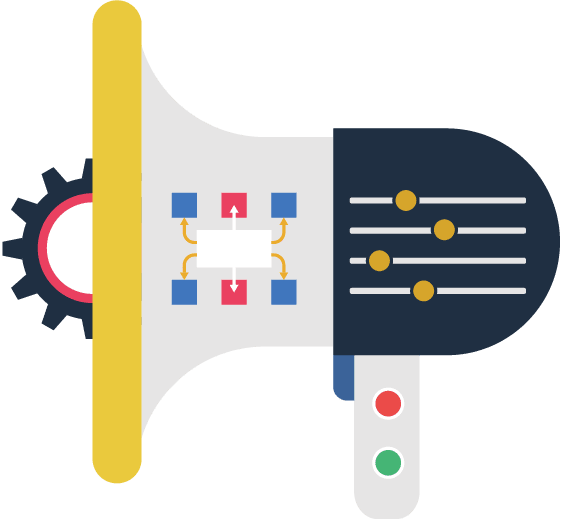 Once you’ve designed and perfected your marketing strategy you have the power to launch it in real-time across Google Search, Google Shopping, Facebook, Facebook DPA, Bing Search, Instagram and Amazon with a single click. 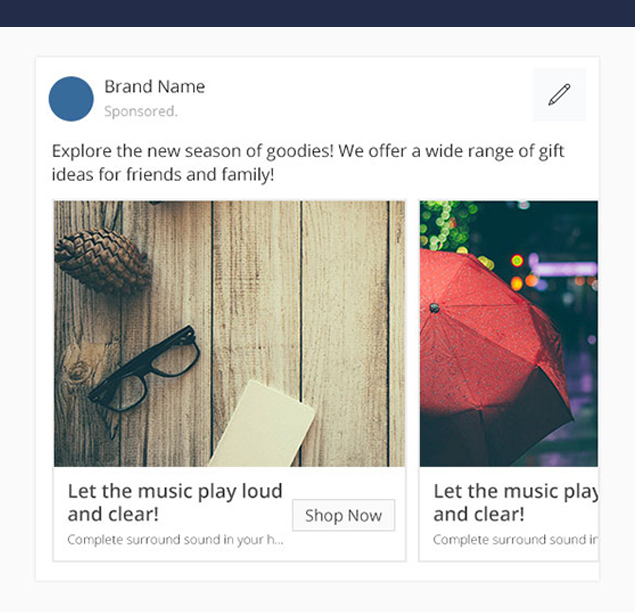 OnlineSales.ai’s campaign manager gives you complete visibility on how your selected audience groups, creatives, geo and device targeting are performing. You can easily identify the non-performing sets and choose to pause them or replace them with different sets in real-time. Our algorithms are constantly analyzing your campaign performance based on your goals and work real-time to generate performance optimizations that ensure you’re always on track to meet your goals. 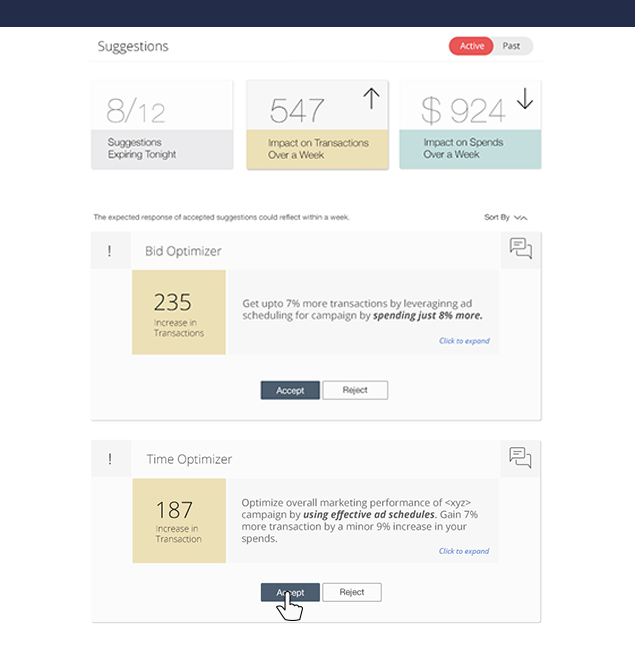 These suggestions can be accepted with 1-click and the changes are incorporated in real-time. Our direct integration with your product feed allows us to automatically fetch the ad creatives for your products. Our product enhancers then optimize the product images automatically to give you the best frame, best zoom and the best background color that in-turn yields you the best click-through rates.